- 1 packing (in the packing 25 x 4 pcs). 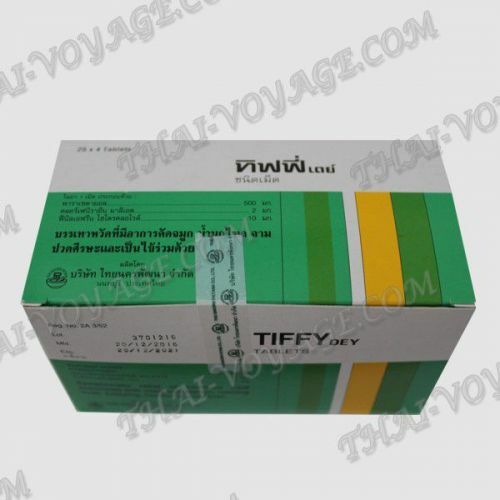 Proven and effective drug against the symptoms of colds and flu – Thai tiffi pills. 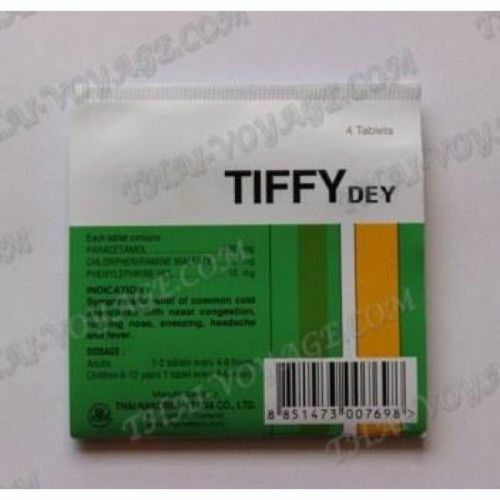 Medicine Tiffy from a cold quickly and effectively will help with fever, with all the accompanying symptoms of a cold – headache, malaise, nasal congestion, sore throat, fever. - Children 6-12 years: 1 tablet, you can repeat the pill every 4-6 hours. Composition of the product Paracetamol 500 mg; Phenylephrine HCl 10 mg; Chlorpheniramine Maleate 2 mg.